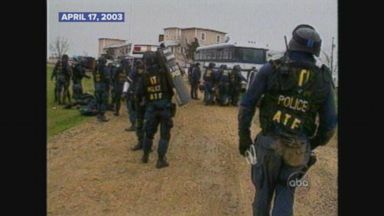 Wayne Martin, a member of the Branch Davidians, called 911 to call off the raid as gunfire broke out at the Mount Carmel Center near Waco, Texas on Feb. 28, 1993. Number one when he allegedly bit. Everybody around our building assuring American not probable calm their children preliminary hearing the call Bob. Lane was instantly on the phones and 11 trying to get them to communicate with the people on the ground stop fired its. And hear the gunshots and I think in this is leading in opinion. I had an eight hour class a negotiation park. Back to three weeks before next. Yeah. Can happen remains. They time they don't take they want to remove their casualties. Judge as a peace officer you wanna be controlled situation that didn't feel like I was in control when you've got three people on. We want urgent need period. Argue intertwining. We'll hear from our car you aren't. Why didn't say barring. Aren't they came in with force they shut it people we tried to talk to on the what was the reason it was crazy. True. Months. We tell the documentary next Christine its central. ABC's "Primetime" speaks to the children that survived the Branch Davidians' Waco compound fire that took place in 1993. 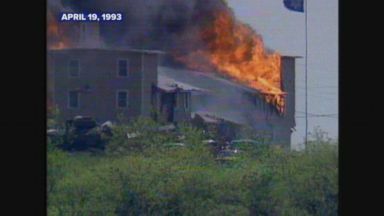 Fire broke out at the compound 51 days after the standoff between the Branch Davidians and the FBI.